100% BABY FRIENDLY: You should never sacrifice comfort for style & neither should your baby! Our soft & breathable moccasins are made from vegan leather & will ensure that your baby steps out in comfortable style. CUTE & TRENDY: Our soft sole moccasins are available in a wide array of fun colors, including trendy metallics, & feature stylish tassel embellishments that will complement a variety of outfits, no matter the occasion! CONVENIENT DESIGN: These shoes are a breeze to slip on. They feature elasticized ankles so they stay securely on your baby's feet, and have a smart and baby-friendly style that allow you to quickly put them on your baby. AVAILABLE IN MANY SIZES: No matter where your child falls on the growth chart, we have shoes that fit their cute feet! We have plenty of sizes & styles for you to choose from so that your baby always looks & feels their best! 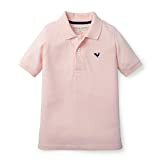 MAKES A GREAT GIFT: Give the gift of style & comfort for your favorite infant. Because they're easy to slip on & stay securely and comfortably in place, they make a great first pair of shoes and are perfect for baby showers! Lilac & Lavender offers out of this world comfort and style with these soft tasseled baby moccasins! Every baby deserves to have their tiny, sensitive feet pampered and treated with TLC! 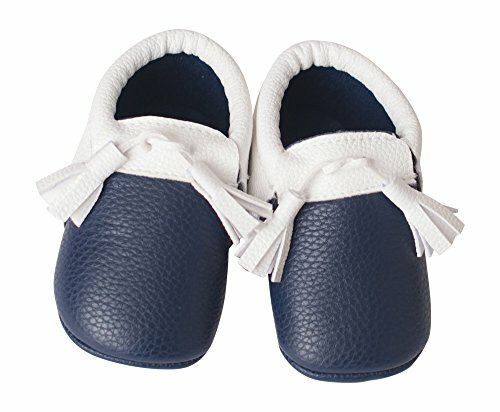 Our soft soled tasseled moccasins are made for newborn feet, and are made with 100% vegan leather so you can dress your baby with a clean conscience. They come in a wide array of cute & trendy color combinations and sizes so you have plenty of options to switch things up. Lilac & Lavender has designed these slip on moccasins with an elasticized ankle, so they slide on easily and are held securely & comfortably in place. ?These soft sole baby moccasins are the perfect accessory to style up your little one's outfit! They are super durable, styish, and PERFECT for year round wear! As your baby starts to stand and practices their first steps you want to make sure that their feet are protected and cozy. Our moccasins are perfect for keeping your baby's feet warm and comfortable. With so many colors, your child will always have footwear to match whatever cute outfit you dress them up in! Choose from a wide variety of shoes in both neutral and bright colors. Lilac & Lavender's soft soled moccasins are sure to make a fashionable impression while keeping your baby comfortable. What are you waiting for? Get your precious baby a pair of these adorable baby moccasins today!